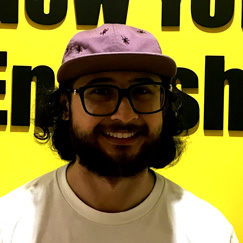 Learn English in New York! Start your journey in New York’s historic Lower Manhattan- be a part of the experience! 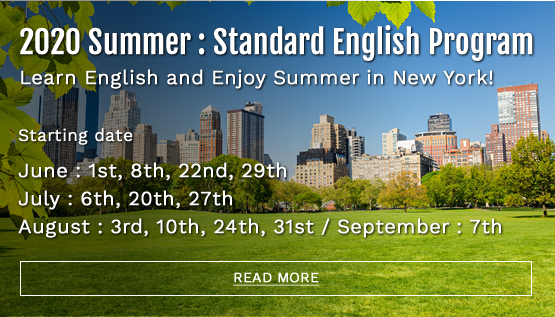 Learn English and Enjoy Summer in New York! Increase your chance of a promotion! 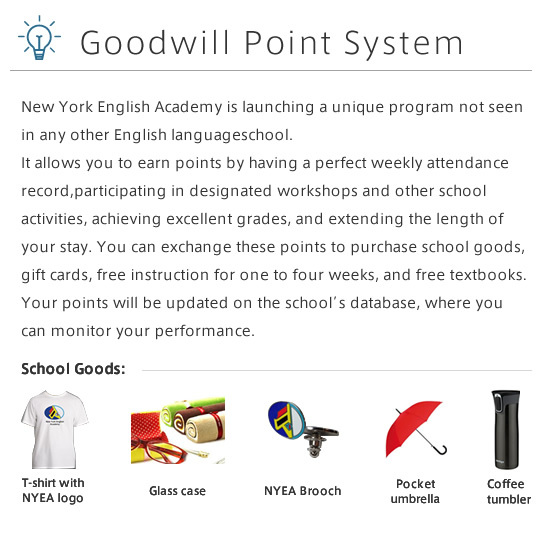 New York English Academy is located in the heart of lower Manhattan -- the Financial District. This is the place where New York City began 400 years ago, and continues to be the center of the Big Apple's strength and resilience over the ages. Just steps from Wall Street, World Trade Center, the Statue of Liberty and Ellis Island, it is the center of the magnetic force that has drawn people from all over the globe for generations. 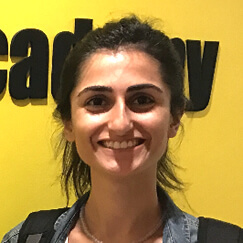 Students who come to NYEA will receive world-class English training in one of the most energetic and historically significant locations on Earth. Lower Manhattan today teems as a bustling hub of the art, food, finance, and film industries. It is where the best and brightest minds from every country and continent come to reach for success. We have developed an English training program to meet the needs of the special people who are drawn to this exciting place. Come to NYEA. 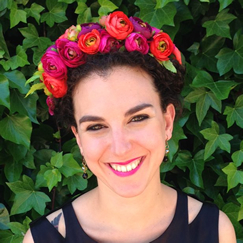 Make friends, improve your English, follow your destiny, and be a part of history! Located in the financial capital of the world! Enjoy pizza party after monthly exam! 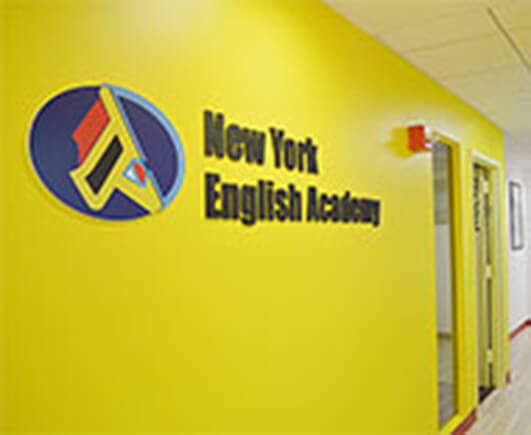 New York English Academy is a Licensed Private Career School by the New York State Education Department and ACCET offering English language learning programs for international students. The TOEFL Preparation course is for students seeking admission to a college or university. explore Big Apple in the afternoon . 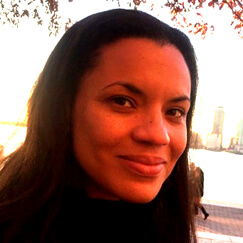 What will make NYEA’s TESOL program unique is that it is focused on American English -- a recognition of the distinct cultural and linguistic character of a language built over centuries by an international community of immigrants. The first thing you will notice is our friendly and attentive staff. Meet new friends and our excellent teachers, Have some coffee or tea! Hello, my name is Amanda and I am from Paraguay. I had a great experience at NYEA. From the first day they received me cordially and helped me adapt quickly. 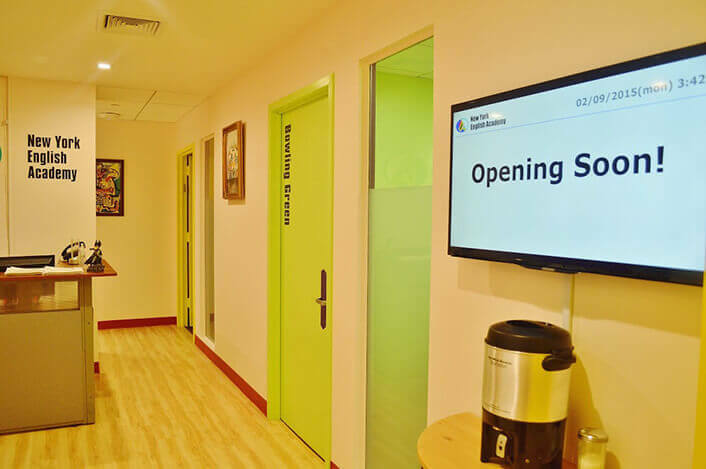 They have very good teaching methodology, the teachers and students were very friendly all times. I made good friends and enjoyed my time in the institute. 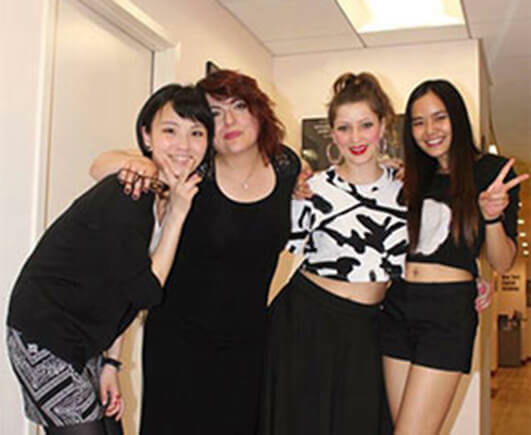 If you want to learn English in New York, I recommend New York English Academy. Last summer, in August, I have registered in NYEA. NYEA issued an I-20 to help me focus on my studies. For a person who was as old as me, it was such a fortune. Unfortunately, I had to give up the I-20 since I could not leave my husband alone in Korea for so long. Then I got to know that I could study at NYEA even with a Korean ESTA visa, I was fortunate enough to study at NYEA every time I visited USA. I have been studying English in level 2 class in NYEA. When I first came here, speaking and listening to English was very difficult. But my teacher, Joe, has always told me to relax and been patient with me. He led me to improve all my linguistic skills including speaking, listening, writing and reading at fast speeds. 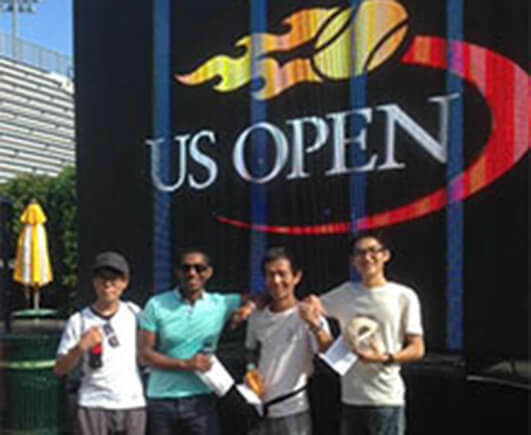 I have been attending private lessons and the TOEFL program together. In my private lessons, my teacher mainly teaches me the field I want to focus on. I have less chances to use English outside of the school so I am learning daily conversation and listening comprehension in my private lessons. I feel my English skills have been improving and I am very satisfied with the classes. Private lesson one-on-one training shows the effect immediately. So I enjoy chatting with my classmates in English now. The American TESOL program was very interesting. The classes were very interactive. I really felt that all the activities we did would be useful for becoming a teacher in the future. 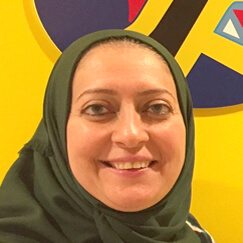 Salma, my tutor, was very experienced in teaching English. She helped me learn so much about being a teacher, using approaches and activities that I wouldn’t have learned back at home. Part of the program involves observing and sitting in on how the NYEA teachers teach and run their classes. Observing classes objectively in a professional capacity as a teacher means you pick up on things you don’t notice just from participating in class as a student. I really enjoyed the program. The tutors were always courteous and thorough. They shared some of their own stories and experiences with us, and this made the classes more enjoyable.The TESOL program is structured so that you learn psychology and the theory of teaching, and apply this on a practical basis in class.The classes have a high practical content so you get plenty of opportunities to plan your own lessons and give presentations yourself. You sit in on language classes and pick up hints and tips, and then at the end you have to plan and give your own simulated lessons. My name is Thomas Noel Gaha and I’m from Cote d’Ivoire (Ivory Coast) in Africa. 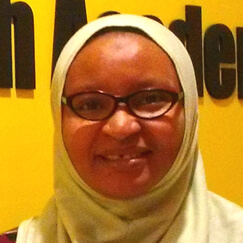 I’m a medical doctor and a Public Health Specialist in Immunization. I have been working with UNICEF for many years. In my job English is very important for writing reports and proposals, and for making conference calls with the different UNICEF offices. All international staff must speak English fluently. Before NYEA, my English level was very low. I could not have a real conversation in English and my listening was worse. Now, after only 1 month of learning English at NYEA, I can watch movies in English and I can speak with people. 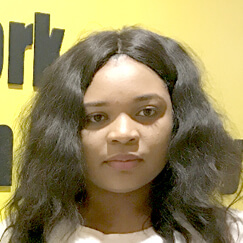 NYEA also helped me to improve my reading skills and my vocabulary. I’ve been studying ESL in NYEA for 6 months. What I love about NYEA is the class size. The class does not exceed 7 or 8 students, which makes it easier to communicate with the teacher. I also appreciate how teachers interact with the students either in class or outside the class. 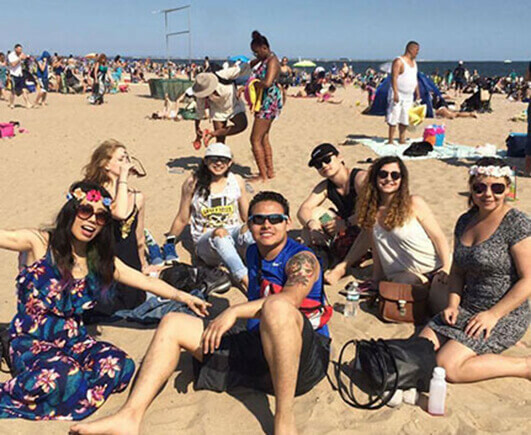 In addition to learning how to speak and write as a native speaker, teachers try to give you a full experience of the American culture and advise you if you are puzzled about any cultural differences. 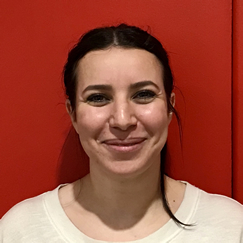 As NYEA is in New York City, one of the most diverse cities in the world, the school is also very diverse, where each country adds a really nice flavor to the school. I like this school because in a just a few weeks here I have really learned a lot. This school gave me the confidence to speak, to understand and all that I need to have good conversations in English. In addition, the field trips that the school organizes are fun and at the same time you learn more about the city and practice speaking with your classmates. NYEA is a very nice place where you can improve your English! Also, the teachers are friendly and they help you when you need it. The class sizes are not too big so you can listen and pay attention to everything they are teaching you. 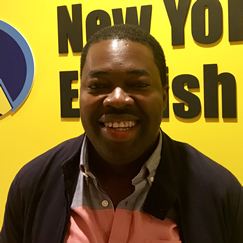 I had a great experience at New York English Academy! It was a great opportunity to practice my English. The atmosphere at the school is really good. I loved the international vision in every subject that we learned. 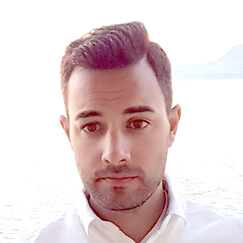 David Knoll is an absolutely amazing teacher with his good personality and interactive teaching techniques. Also, we took field trips to interesting places in New York City to observe how natives really speak and to feel like a local. This experience has helped me to improve my English a lot and to feel more confident! My experience at NYEA was amazing! I definitely improved my English by getting lots of new information from the excellent books and materials and thanks to the really great teaching methods. The opportunity to learn about new cultures was very enriching for me. 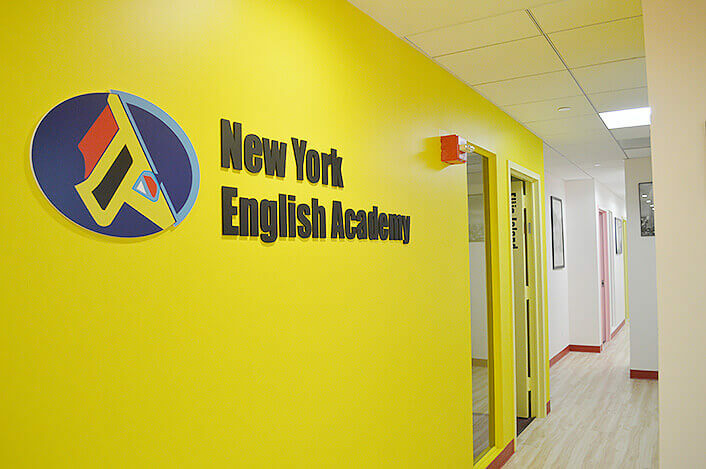 I really had a good experience at New York English Academy. The people are very friendly and professional. 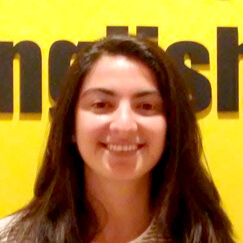 This experience has helped me to improve my English a lot and to feel more confident. They taught me all the necessary skills to pass the TOEFL iBT test and get a high score. If I had the chance, I would repeat this experience! My experience at the school has been very positive. Since I started teachers and staff made me feel part of the family. I feel like I improved a lot at every single one of my skills (I'm completely ready for my TOEFL exam!) and now, with Micheal's help, I am working on the little details. I'm more than delighted! 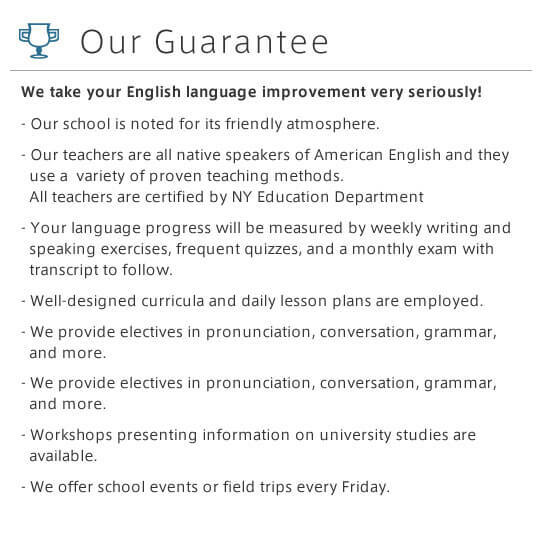 I recommend the school to anyone who wants to improve his English surrounded by the magic of New York City. 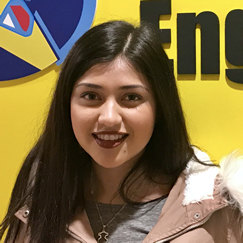 I arrived at New York English Academy hopeful and excited about improving my English. The school’s teaching methods helped me to reach my goal. There are a few students per teacher and every class is fun! In my first week I was shy and I felt afraid to speak, however, after two months I’m confident about having a conversation in English. Teachers are native speakers, friendly, patient to answer questions, and to give clues to get better. 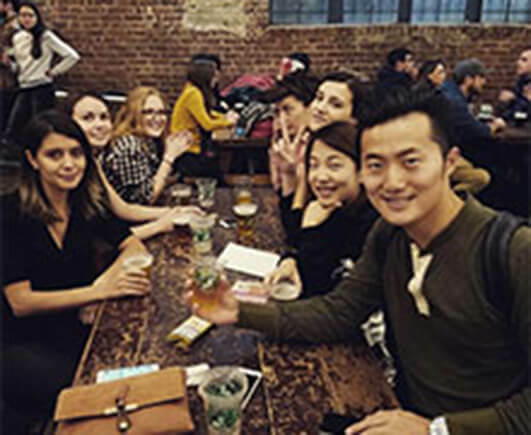 Finally, the best thing about New York English Academy is the opportunity to meet people from all over the world! 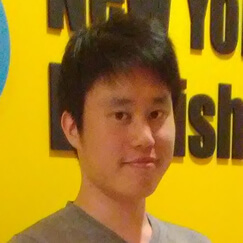 I studied at New York English Academy for one month and half to prepare for the TOEFL exam. I got the chance to have two amazing teachers, both complementary. Classes were organized in a very interactive manner. The books used during the class completely match with the test format. And the variety of additional material (newspapers, video, radio, games, etc.) was a real plus. We worked equally on the four parts of the TOEFL test (reading, listening, speaking and writing), but the teachers closely adapted the classes to our specific needs (for example the speaking part for me). I couldn’t have had a better preparation. At the end of the six weeks I was ready for the test, but I also clearly improved my daily English. This is my second summer attending NYEA. 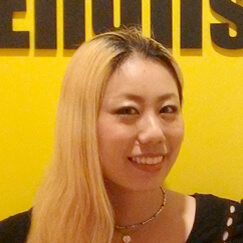 Although each time is very short, NYEA has really helped me improve my English. The teachers here are kind, friendly, patient, well-trained, and knowledgeable. They have gone above and beyond to make the classes both challenging and interesting. I was able to learn a lot of useful English. What I also loved about this school is the very welcoming atmosphere. I was anxious at first because of my age, but the teachers and students all welcomed me and I felt very comfortable studying with them from the first day. 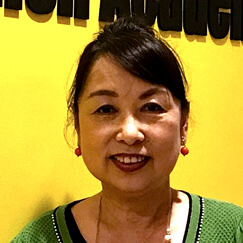 I own a facial salon in Japan and have many English speaking clients. I need to use English on a daily basis, so the English I learned at NYEA will help me a lot in communicating better with my clients. I will definitely be back to study at NYEA next year! I took classes at NYEA during my summer vacation. I was not good at English. I was worried before I came to New York. The teachers were friendly when I didn’t understand. It was also an important experience to talk to people from other countries. And it was a colorful school. Very cute! I hope I can come back here during my next vacation. Thank you so much!! 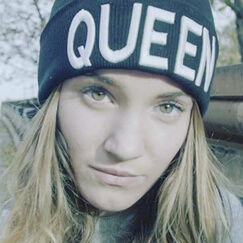 My name is Dila from Turkey. Before I decided to live in the US, I decided to look for English courses that could help me to improve my English. 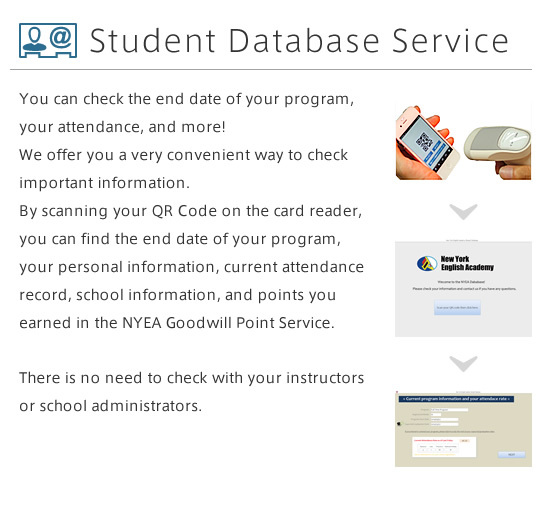 After a long search, I decided to enroll at NYEA because I saw so many good reviews. I have been studying in this school for three months and I'm glad I made that decision. 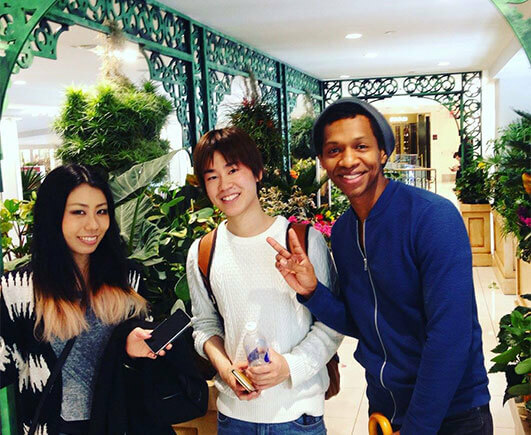 I had the chance to meet new people who came to this country with the same goal of learning English. It has really helped me to have more confidence speaking English. 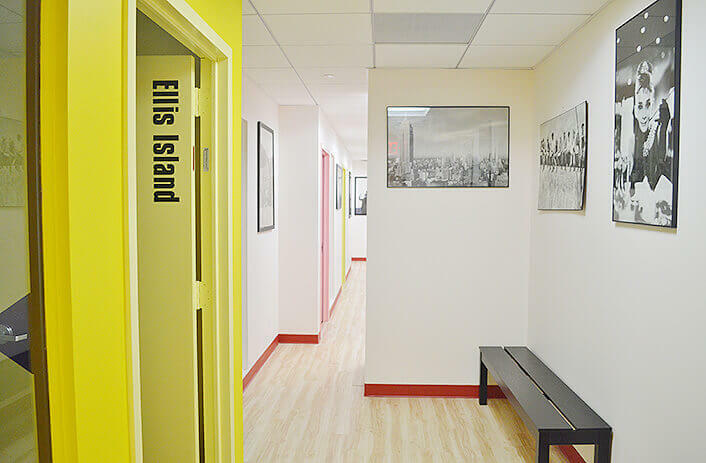 The teaching methods at NYEA include writing, listening, and grammar practice but mostly they focus on speaking. Specifically, we study idioms and expressions that we need to communicate, interact with people, and to express ourselves in daily life. The best way to improve your English skills is to study in an English speaking country! That’s why I decided to find a language school in the U.S. to improve my English. I am a German/Portuguese citizen and I work for an insurance company in Germany. I studied Business Administration. I took the entire 12-week Business English course. My goal is to work for an international company. I liked the business class very much! The average class size in business was only two students. That was amazing! Because of the small class size we could express our individual wishes for what we wanted to learn. In my course, I created an individual elevator pitch, letter of application/CV, and optimized my LinkedIn profile. The instructor is a native English speaker but also a specialist in business because he worked on Wall Street. Hello my name is Kadija Camara and I am 20 years old. 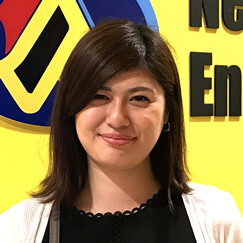 I came to the NYEA Business course because I needed to improve my English for my bachelor’s degree. It is incredible how fast it works! 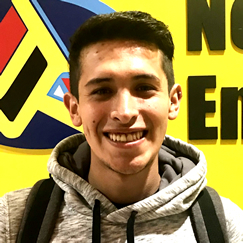 Being an NYEA student will be one of my best life experiences not only because I learned English but also because of the diversity of the students I met. So far, my experience at NYEA has been wonderful. In my opinion, NYEA is a good place to learn, the teachers are excellent at their jobs. 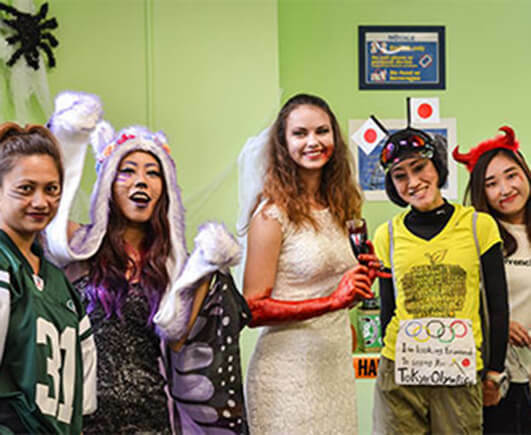 The students are cheerful and friendly. I have made a lot of friends. 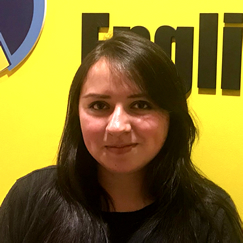 And I recommend anyone who wants to learn and speak English to learn at NYEA. It’s a fun place to study. 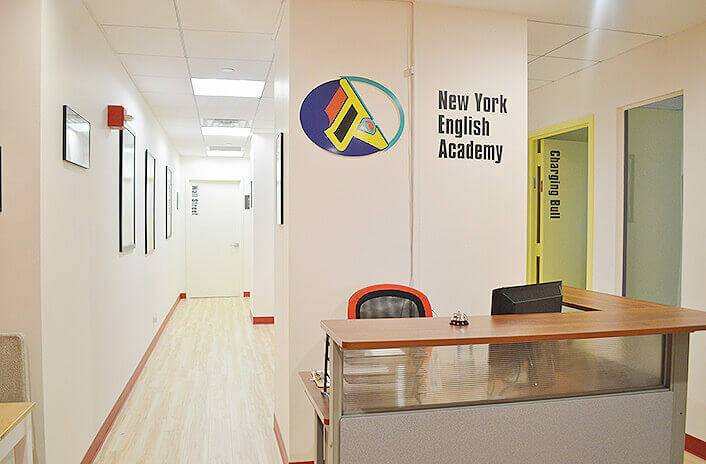 New York English Academy is the best school to learn English, the teaching is personalized and very professional, you will have a new family among your classmates. 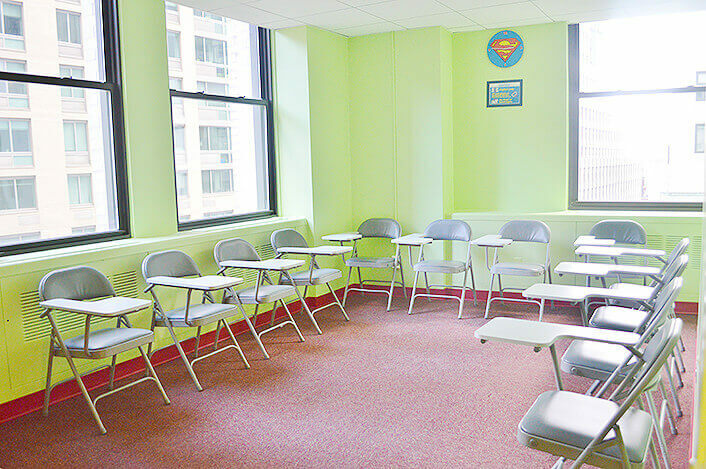 The school is very well located near Wall Street, a few meters from the train lines and close to the popular famous attractions. I spent a beautiful year in this school with great classmates and amazing teachers. 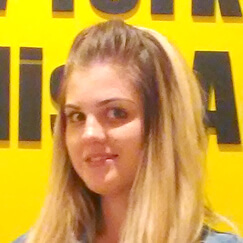 If you want to learn English in New York, choose NYEA. I’m Shuchiro Mori, from Japan. I’m a university student, I study photography. I’m studying advertisement photography and fashion photography and New York is famous for its fashion. 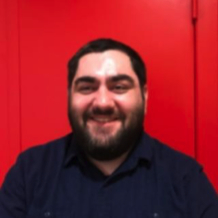 I also want to learn about business, and here in New York, there are people from all around the world, which makes it perfect for studying the world’s business techniques. There are so many language schools here, I checked many of them. But this school has very small, comfortable classes, which set it apart from the rest. Also, this school seemed the most diverse, with people from all continents. Many language schools have students only from Europe, etc. The diversity of this school makes it fun, interesting and good for studying. 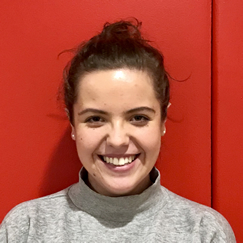 My name is Caroline, I came from France with my boyfriend for 4 weeks of classes with the classic program in the morning. I wish I could stay for more weeks. Even though I only had one month at school, I noticed my English improved. Especially for comprehension. Now, I’m able to watch a movie without subtitles and understand everything, that’s awesome! The atmosphere at the school is really good. I loved the international vision in every subject that we’ve learned. New York City is definitely a great city to learn English in. Also, the school is very well located, it’s a dynamic neighborhood. 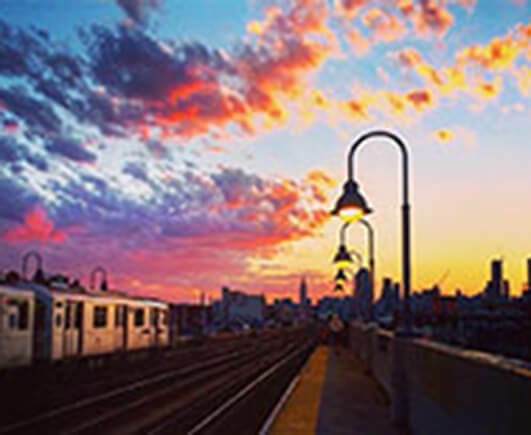 The area is full of shops, cafes and restaurants, and we’re very close to the Wall Street Pier, where you can take the ferry to Rockaway Beach and other nice places. I’ve been in this school for a year and a few months. I’ve gone many places with my international school mates and teachers because every Friday we have a field trip. They’re amazing experiences since we can learn a lot of things, not only English. And also our class is not so big so we can focus on our studies and have good conversation and relationships between students and teachers. Our teachers are great, too. They prepare our classes and pay attention to each student. I have a good time in NYEA! 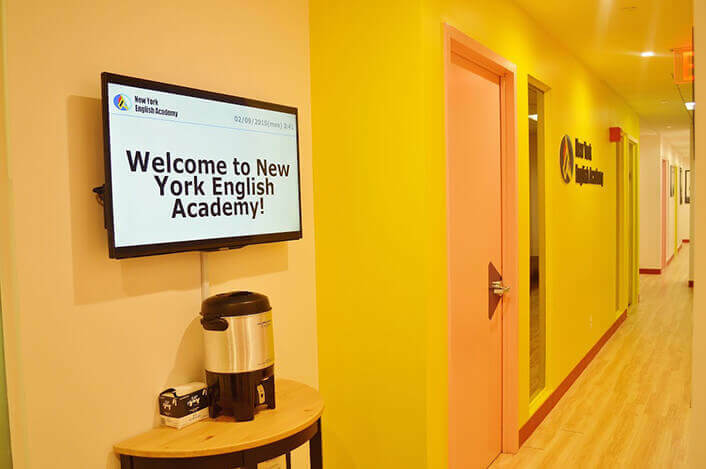 I have had a wonderful experience at New York English Academy. I’m really glad for choosing it for my English language improvement. The staff and teachers are kind, friendly and helpful people whom I can count on. The students are from all over the world, this gives me a close knowledge of different cultures. I made a lot of friendships and I’m enjoying my time at the academy and at the Century 21 store nearby. When I first entered the class I immediately a good impression and I felt comfortable. During the lessons nothing is wrong and you can ask anything you do not understand. Teachers take all the time to explain everything until you understand. The atmosphere of the school is very nice, you meet new people and everyone is very good with each other. During my course, I have learned to get to know a lot of nice new people. I am very happy with my choice and thank NYEA for this unforgettable experience. I appreciate it very much. 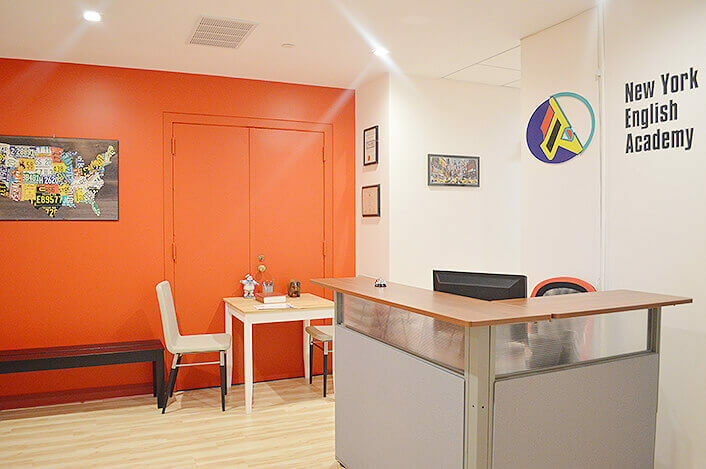 New York English Academy is located in downtown Manhattan, to the neighborhood that surrounds the brand new Fulton Center and iconic Wall Street. 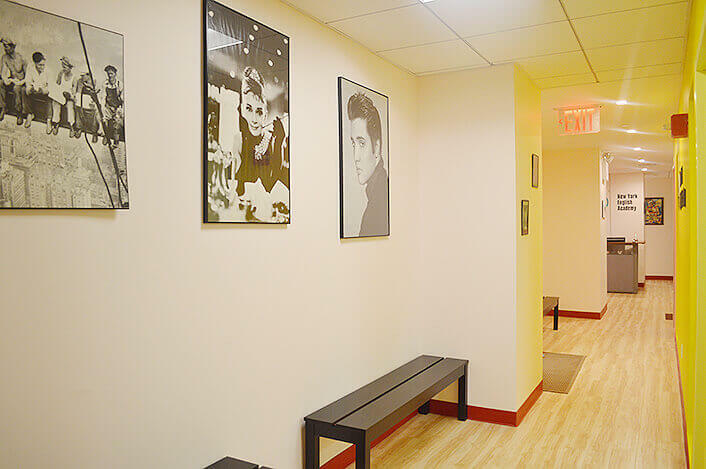 Five minutes’ walk from the brand-new Fulton Center! Surrounded by major New York landmarks! Easy access to anywhere you want to go in the city!